It would appear that I’m not the only adult in the world reliving one of their childhood pastimes of colouring. I can remember spending many a happy hour colouring in different patterns and making a piece of paper come to life. Adult colouring books have hit the bookshops by storm, offering adults a therapeutic way to relieve the everyday stresses of adult life. 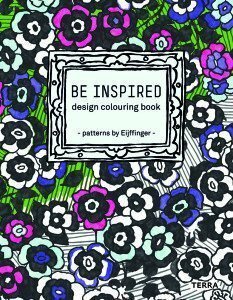 So feel nostalgic as you dust off your colouring pencils and get creative with one of these beautiful and inspiring books. Colouring books are not just for kids! Adults, get your felt tips and crayons at the ready and help your mind to switch off and relax by enjoying this nostalgic activity. This collection is based on the patterns and designs of wallpaper specialists Eijffinger and showcases some the their best patterns, with themes such as romance, nostalgia, nature, exoticism, vintage and retro. It’s up to you if you want to stay inside the lines. Welcome to the inky world of a secret garden. Each page has exquisite pen illustrations waiting to come to life through your artist’s palette. With puzzles throughout, this book has something for budding artists young and old. 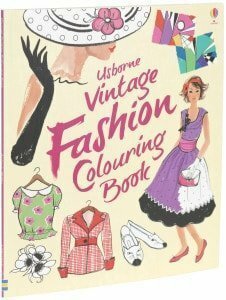 Filled with gowns, frocks and stylish accessories to colour, this colouring book provides a concise introduction to the history of vintage fashion. Are you an adult colouring book fan? 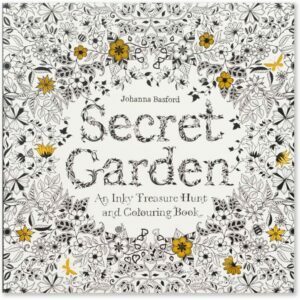 To celebrate my love of colouring I am offering one lucky reader the opportunity to win a Secret Garden: An Inky Treasure Hunt Book. Disclosure: I have not been compensated for this post, and will be supplying the prize myself to share the adult colouring love. We used to have these massive plastic mats which you could spend ages colouring in – they were great fun! Any crafts but especially colouring in, i always had colouring books and pencils for birthdays and christmasses. Colouring, doing plays and origami – we had some Japanese students stay and they taught us. Reading,I was always being told to go outside and get some fresh air! I loved anything crafting and particularly loved my stitching cards. I’ve now passed this onto my 5 year old daughter! As a child I loved being creative in few areas really from drawing/designing dresses to colouring on a vast majority of time. I loved to read. I always had my head buried in a book! I used to play outside a lot – my dad made a sandpit in the back garden for me so I spent ages building sand castles! I loved colouring in too. I’m so pleased that it’s now acceptable for adults! Playing Sylvanian Families, making dens, playing outside, playing on my bike, can’t really remember having a favourite one as such. I would sit on the swing in the garden for hours when the weather was nice, otherwise I would be indoors sewing with my mum. I used to play a lot in the street with my friends. I loved playing schools with my sister – I would give her lessons but it was her that ended up being a teacher when she grew up! Paint by numbers, would keep me quiet for ages! Definitely Lego, kept my brother and I entertained for hours. I loved playing outside, I grew up in the countryside and we went miles! I loved colouring and reading. Exploring the woods and fields at the back of our house. watching football with my dad – I was a massive tomboy! Going to the library to choose books. Taking things apart and rebuilding them. Mine was lego, I would spend hours making things with it. great fun. Thanks for the lovely giveaway. I used to climb trees, find a comfy spot and sit and read away from it all! I enjoyed films on television, the cinema, theatre and collecting “scraps”. As well as playing with my dolls. Family board games were fun also. They do say that ” Variety is the Spice of Life”. we enjoyed playing cards snap , Rummy Patience and old maid!! My favourite pastime was reading if I had to stay in and riding my bike if I could play out. I used to love reading, still do. I lived around the corner from a library and I just loved to go there all the time. I loved writing short stories, I even had a few published. Playing out on my bike! I used to love colouring in, as a matter of fact I still do today !! I used to love climbing trees! My favourite pastime was reading, I was a real bookworm! Loved building dens in the garden with my friends and pretending to be a secret agents. Being a brownie and going on camps. Playing adventure games in the outdoors and toasting marshmellows on the camp fire as we sang. I used to love drawing and colouring in jet planes! Just being outside, normally on my bike, with my friends. Climbing tress and looking at the stars at night. Has to be climbing trees! Visiting the library and reading books. Climbing trees, really loved it. Scared of heights now!! Reading – I’ve always been a big reader & had a library card before I could even read lol (courtesy of my Nan)! reading could easily get lost in a book. Spent hours doing colouring books!